We are proud to announce another new WGi framework release. eCommerce the WGi way: Low Out of Pocket, No Hassle! The Internet has become an essential tool for businesses. Once only a brick and mortar world, the internet has taken over. At one time you could reach thousands of consumers at your local store on the boulevard, today you can reach hundreds of millions across the country and around the world. Websites with shopping carts are ringing up billions of dollars a year, are you taking part in this? If no, why not? Now you can rule out cost of entry! 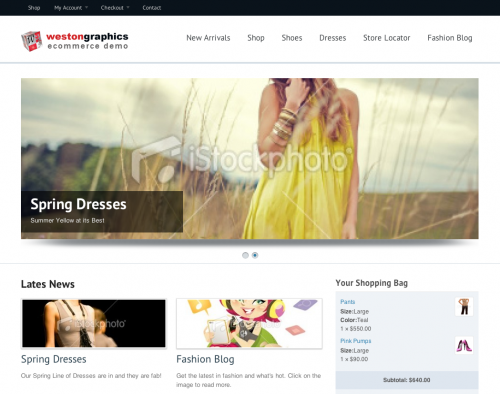 Why not stand out with a well designed, aesthetically pleasing and fully functioning onine store….NOW! Let us get you started for as low as $66.95 a month for our complete custom service.